Here is what a bouldering session looks like for probably 90% of all climbers everywhere. Show up when friends suggest showing up. Warm-Up by doing some “easy” problems. Start working some “hard” problems, rest as needed. Finish up with some more “easy” problems. As silly as this looks when you see it written, you have to admit that it works pretty damn well for a lot of climbers. I can’t even count the number of sessions I’ve done just like this one, and I’ll keep doing them. Why? Because they are fun and they work. Oh, they are tough to measure and hard to manage. They drive the sport scientists in us crazy, but they work. 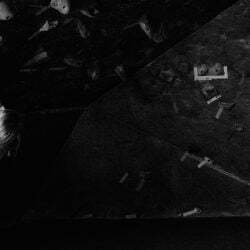 The volume driven bouldering plan is all about getting better at bouldering without getting hurt. What we have seen in other sports is that the elite do a huge amount of training at somewhere between 70 and 80 percent of their max. Where is this in climbing? Hmmm…I was afraid you’d ask. That’s the whole problem, see…all we have are grades. Hold type, wall angle, distances between grips – all too crazily hard to control. And if you did somehow manage to control them all, you’d start killing off your ability to learn new movements. So, we control what we can, and let the magic of climbing do the rest…just like we always have. In this program, you’ll boulder for your training. There is no hangboard time, no system board…and you can just go out and climb as much as you like. The training miracle comes in carefully programming and pushing your problem difficulties and numbers forward. Step 1: Sort out what your onsight level is. 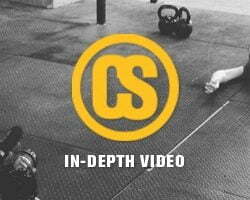 In your gym or at your local boulders, what grade do you consistently onsight? This is the number you’ll use for calculating session intensity. Step 2: Go to the gym. Warm-up as normal, but write down the problem angle, type, and grades. Step 3: Start by doing a few problems 2-3 grades below onsight level. Do a few at onsight level, then set about doing as many as you can just above that level – OS+1. Write down any falls or attempts. Important: Stop when your ability starts to fade – no warm-downs, no laps on easy problems. You’ll note what you did only in terms of total “V-sum“, which is simply a sum of all the V grades you climbed. Score only those problems you did in the session. For the session above, the V-sum is 40. The average V is then calculated, which is 4.4. For the next 5 workouts, you won’t leave the V3 to V6 range. Your goal is to simply push your V-sum up. 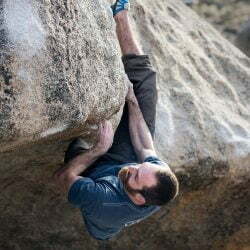 After pushing this number up, which is pretty easy to do, your goal for the following six sessions is to hold at the same total number of problems, but increase your average V.
A focus on increasing the V-sum would typically lead to more endurance, a focus on average V tends to increase bouldering ability and power. This program will take 4 to 6 weeks, and should be followed by a week away from bouldering. Coming back to the program the second time, allow yourself to dip into the next grade range if you feel strong (V7 in our example), or simply go hard up against your previous numbers. 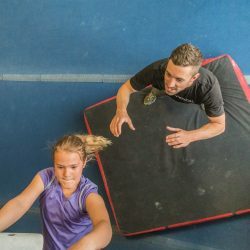 This program should help you keep from getting injured on failure-level problems, and will build a bulletproof base of bouldering power. 1) How does this work at novice grades? I don’t climb outside often but last time (about six months ago) I climbed a couple of V2’s. Inside I am currently trying to break into V4’s (only done 1). Inside, V0’s are very easy in any style (I usually do 4 after my non-climbing warmup). V1’s are 95% onsight in any style. Most V2’s take 1-3 tries, but occasionally an anti-style problem will shut me down entirely. Most V3’s go within 1-3 sessions. So would I be only climbing V0’s and V1’s on this plan? I already try to do these easier problems “perfectly” as part of my warm up and it seems like at this level I am not really learning anything. Additionally, my gym is pretty small so there are usually only 2-4 V1’s at any given time. Right now there are 2. 2) Does your “onsight grade” take style into account? For example I occasionally get shut down by “hard” anti-style V2’s, but my first V4 was my perfectly style and I can now send it consistently it with less effort than most V3’s. So would I include “easy for me” V2’s and V3’s into this plan? Background: Been climbing casually (mostly TR/lead) for around 3 years with a couple 1-2 month breaks. Around 3 months ago I got more serious about improving, specifically at bouldering. 1) I think you’re right, mostly V0 and V1 if you are trying to build big volume, which is going to be useful, but not that exciting. However, based on the nature of your gym, this might not be the best plan for you. A plan that alternates between a density bouldering day and a limit day might be a better choice. 2) Definitely take into account your anti-style, so you will have to do a bit of calculating when you set up the schedule. And then, of course, get so good at your anti-style that it becomes your new style! Awesome thanks! I was looking into this higher volume, lower intensity program because I keep getting hurt. Shoulders, wrists, hip flexors… It seems like every time I really try to improve I see good progress for about a month and then end up injured in some way or another. I’ve been wanting to start doing some simple strength exercises like overhead press, deadlifts, pullups, bench press + core work to help with injury prevention. Does something like the following sound reasonable?